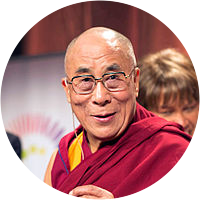 A collection of the best Dalai Lama XIV quotations. The essence of spiritual practice is your attitude toward others. Compassion and love are not mere luxuries. As the source of both inner and external peace, they are fundamental to the continued survival of our species. This is my simple religion. There is no need for temples; no need for complicated philosophy. Our own brain, our own heart is our temple; the philosophy is kindness. World peace can only be based on inner peace. If we ask what destroys our inner peace, it's not weapons and external threats, but our own inner flaws like anger. This is one of the reasons why love and compassion are important, because they strengthen us. This is a source of hope.